MainOpEds"Nine Men Wanted for a Minyan"
"Nine Men Wanted for a Minyan"
Rabbi Meyer Fendel's heartwarming story:Blazing a trail in Jewish education. Seven decades have passed since the Torah Umesorah (Torah and Tradition) organization, under the leadership of Rabbi Shraga Feivel Mendlowitz and later, of Rabbi Joseph Kaminetsky, began founding Orthodox day schools in the Jewish spiritual wilderness of North America. Today, from coast to coast, there are at least 250,000 students attending 760 private Orthodox day schools, and many, many yeshivas and kollels that have sprung up as a result of the Orthodox day school movement . It is a fantastic success story, the amazing achievement of an indomitable Jewish spiritual leadership that built this network in the aftermath of the flames that decimated European Jewry, during the same period as the reestablishment of the Jewish state that, too, rose out of the ashes. Am Yisrael Chai! The Jewish People Lives! Statistical figures attesting to the ensuing renaissance of religious Jewish education in America give an overview of an organization run by people who believe in what they are dedicating their lives to accomplish, but that is information about the macro. 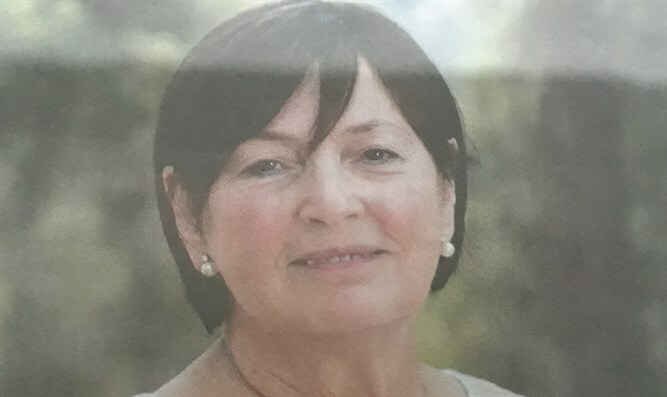 The real story, as in all human endeavors, is the individual, micro, one, in this case of courageous principals – perhaps we should call them "principals with principles", their wives and children, and the local Jews, balebatim, who support their efforts. A newly published book, "Nine Men Wanted for a Minyan", brings one of these stories to life and manages to reconstruct the atmosphere of those years of dedication in which yiddishkeit (authentic Judaism) tuned in a generation . Its title sums up the situation of the Orthodox rabbi out in the hinterlands, who raises his family in an atmosphere where, at first, the only person who cares about having a ten man quorum for morning prayers is the rabbi himself – and sleepy bar mitzva age boys waiting in bed to find out if they must get up early to make up the number needed for the early communal prayer instead of the later one at school. Immeasurable good will, pioneering spirit, integrity and perseverance are needed to do what Rabbi Meyer Fendel did – and did well - in answering the call to found a day school out in West Hempstead, Long Island (Nassau County) when the town did not boast even one Orthodox synagogue. He took on the mission, and the thousand strong student body in HANC today testifies to his ability to build a lasting institution – while the book shows the reader how he did it, using his considerable charisma, management skills, and talent for teamwork, while caringly providing a clear "derech" (pathway for life) for his students. Being a pioneer means facing major decisions with few or no precedents to use as references. Torah-true thinking seems to have provided the guidance needed to navigate questions about whether to separate religious and. general studies or intersperse the two throughout the school day, whether to have the synagogue part of the school or a separate entity, whether the rabbi can serve as school principal, the school should join up with other schools, how to relate to Zionism and aliya, how to deal with parents whose lifestyle is far different from that espoused by the school, what kind of enrichment a religious school should provide and much, much more. There are pioneering battles to be fought: how to obtain government funding by negotiating the fine line between non-discrimination for day school students as opposed to the Constitution's separation of church and state; how to deal with tuition crises; how to see that members of the school board believe in its goals, are but a few. And all this does not take the place of the many daily crises in any principal's life, from dealing with problem students to staff supervision and the millions of details, including what to do about the impending snowstorm. Rabbi Fendel relates how the school acted so as to give its students a feeling of being part of what is happening to the Jewish people, "to educate for active participation in today's society". He involves them in the struggle of Soviet Jewry through refusenik Joseph Mendelevich, for example, and invites prominent visitors such as former Chief Rabbi Yisrael Meir Lau, he celebrates Israel's Independence Day as a religious holiday. This is not a school that focuses only on the daily tasks of teaching the curriculum and making sure the students do their work, challenging as they are. 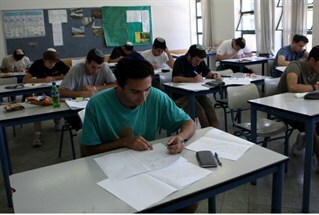 This school has a clear mission statement that spells out its goals and guiding principles, there is much thought given to adapting the methods of the mussar movement of Rabbi Yisrael Salanter to build character – using original technological methods - and a clear decision to be guided by Rabbi Avraham Yitschak HaCohen Kook's philosophy and thought (hashkafah) and to have Rabbi Moshe Feinstein as halakhic decisor when such questions arose. Rabbi Fendel justly takes pride in the large number of graduates who live in Israel today – as he and his children do. One of his sons, Rabbi Dovid Fendel, is head of the Sderot hesder yeshiva and a recipient of the Moskowitz Prize for his courageous leadership during the period of the rocket attacks from Gaza. In fact, a clear exposition of Rabbi Kook's life, educational philosophy and outlook on issues such as outreach, the Jewish state and the Redemption take up the second part of the book, making it an educational experience in itself. Most telling, and what one would wish for every child, is Rabbi Fendel's vision of a teacher and principal's role vis a vis students as the need to "provide a climate of tuning into and understanding chidren…know the pupils and become aware of the problems that children consider important." This book is not just an interesting story, although it certainly is that. Parents, principals and teachers in Jewish communities all over the world can learn much from the wisdom and integrity of this wise educator, while they enjoy the many anecdotes that add spice to the narrative and get a close-up and heimish (feeling at home) understanding of Jewish life during the early days of the day school movement that revolutionized Jewish education in America. It is especially nice to see that Rabbi Fendel takes affectionate care to give credit to all the people who worked with him. One of Rabbi Fendel's sons, veteran news editor and former Arutz Sheva newswriter Hillel Fendel, was a key factor in turning the recounting of his father's accomplishments and interesting life story into this most readable book. It was definitely a worthwhile effort.